The sixties may be long gone but the hippies haven’t. With alternative lifestyles which embraced peace, love and a whole lot of tripping out, the hippies had a profound influence on culture as we see it today. They still congregate in few corners of the world, practicing the ideals which they believe in and reliving the age which they so adamantly fought to keep alive. We look at some of these places where their spirit roams. No matter how cliché it sounds, Ibiza cannot be ignored on any hippie list even remotely connected with travel. 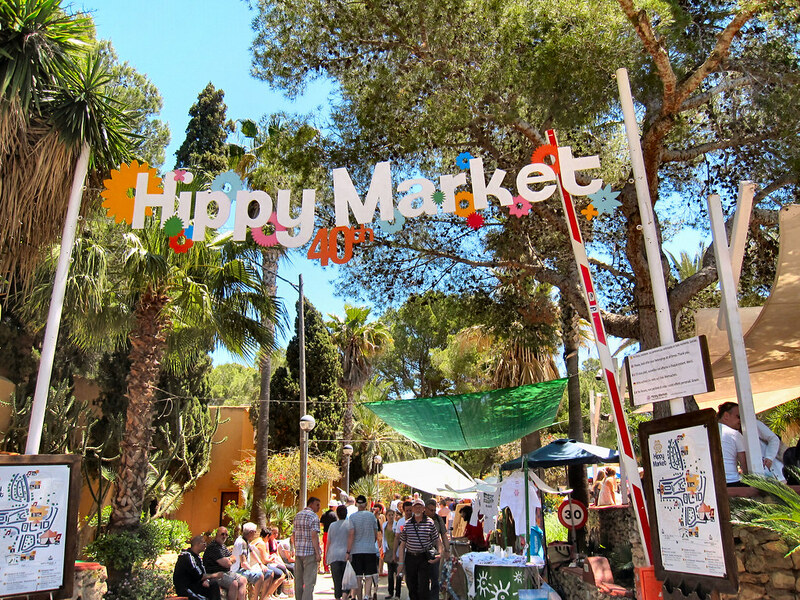 Taking into consideration that it was the birthplace of raves and the focal point for all European hippies in the 60’s to tune in, turn on and drop out, Ibiza boasts a far from idyllic picture nowadays. For starters, four million tourists visit this island every year, so be prepared to share your paradise with package tourists on charter flights. It’s by no means cheap, but the unique architecture and the wonderful walking trails towards the north make this World Heritage site well worth the visit. Oh, and there are the raves. The Raves. On Argentina’s border with Chile lies El Bolson, a hippie haven in the rugged South American wilderness. Declared an ecological municipality and a ‘non nuclear zone’, the village has been a magnet for adventure travelers since the hippies moved into the area in the 70’s. With sustainable lifestyle choices being the norm rather than the exception, it is not difficult to see why El Bolson seemed a perfect fit for the tree hugging types. With plenty of hiking for nature enthusiasts and a thriving artisan’s community for the creatively inclined, a real hideaway awaits the hippie. 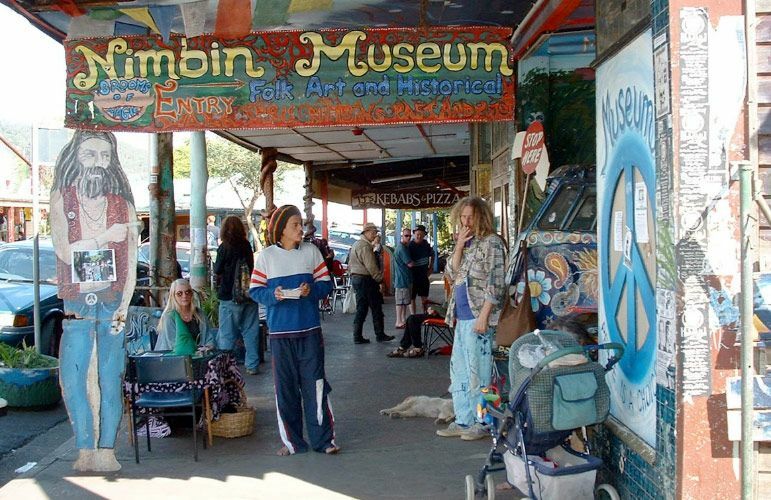 A tiny village located in the state of New South Wales, Nimbin saw a counterculture revolution in the 1970’s which has survived till date. Of significant cultural importance to Aborigines, you can experience the first rays of sunlight on Mt. Warning and incidentally, on Australia. The town itself was the site of the Aquarius festival in 1973 and it seems that many of the visitors relish the amnesia which exists. The citizens of this tiny enclave established a Hemp Embassy whose aim is to disseminate information regarding the use of marijuana as well as provide essential paraphernalia for the same. It’s even got a Hemp bar…. 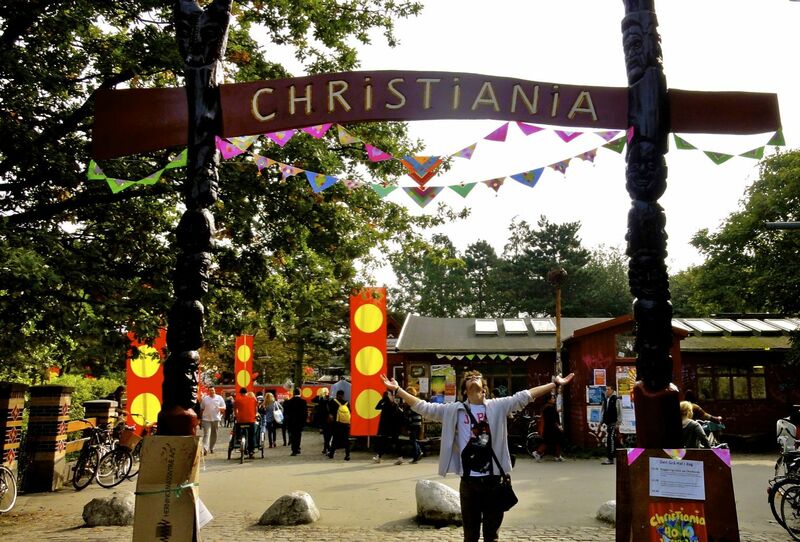 Christiania was once the site of Danish naval barracks, but a group of free spirited individuals transformed it into a commune with a penchant for alternative lifestyles. Especially significant was the symbolic meaning that it carried. Christiania has a sizable community of artisans and environmentally conscious people who have built unique but sometimes eccentric homes which further reinforces the non-conformity position that most denizens of the city adhere to. However, there is one position on which conformity is reached far more easily. A visit to Pusher Street will clarify all doubts. There is something about a peaceful tropical paradise with a groovy beat. In Brazil’s Bahia state is Arembepe, once the favorite getaway of rock stars Mick Jagger and Janis Joplin. Brazil’s own cultural icons, Caetano Veloso and Gilberto Gil are said to have taken quite a liking to this seaside village and if it’s good enough for them, you should have no problem settling down. A short distance away is the village of Caratingui, Brazil’s first hippie community. Yes, it’s as relaxing as it sounds. It’s Brazil, for god’s sake. The original hippie getaway, this tiny former Portuguese enclave in the South West of India was discovered in the 60’s and has had a steady influx of travelers ever since. Goa is still one of the few places where old hippies assemble, soaking up the sun and the heady amalgamation of cultures. It’s also the birthplace of Goa trance, and the beaches of Anjuna and Vagator are often the setting for all night raves. A visit will reaffirm the fact that old hippies don’t die. They just pack their bags and go to Goa. 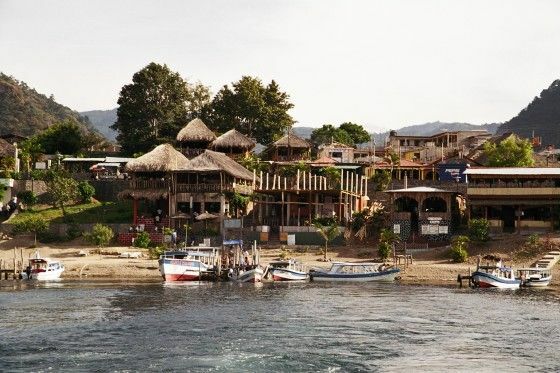 On the banks of Lake Atitlan lies one of Central America’s hippiest towns. A thriving indigenous culture is one of the main draws, the scenery of the lake helping in the process. Panajachel, or ‘Pana’ as is it called has a sizable expatriate population, so don’t be surprised if that old high school friend in traditional Mayan garb and long hair serves you beer at one of the many bars. Although it has become increasingly commercialized over the years, the sweeping vistas of a lake which Aldous Huxley vouched for and the hospitality of the Kaqchiquel and the Tz’utujil Maya more than make up for the crowds. With a name as exotic as that, it’s no wonder that hippies have found this place captivating. Luckily for them, it has lived up to the aura it so easily creates. The blue colored city with the magnificent Rif Mountains as a background and a delightful medina, Chefchaouen may be overshadowed by the more illustrious Marrakech or Tangiers, but it has developed a reputation of its own as an artisan’s city. You might be offered Kif, and if you are into mind altering substances, you might end up staying for more than one session of ‘Kif on the Rif’. San Francisco may receive all the attention when it comes to the hippie movement, but Vancouver has many charms. Besides, a city with some of the most liberal marijuana policies and a distinctly multicultural vibe deserves to be on the list. There is a lost of nostalgia here about the 1970’s, and it is readily apparent in the groovy Kitsilano district where tie-dye is ubiquitous and old hippies with long hair and ponchos still wander about the streets. It’s also the birthplace of Greenpeace. Now, let’s talk about a revolution. The final destination on the hippie trail, Kathmandu was the tired traveler’s dream. Hippies converged to this magical kingdom from around the word, attracted by the seemingly arduous travel it took to get there and the relatively negligible cost of living. Things have changed since the 60’s but Freak Street still retains the allure that so many travelers have come to relish. Hashish can be found in copious amounts and the Himalayas will give you company. In every sense, you’ll be high. What about Amsterdam? Not only are the herbal remedies top shelf, but the city center is a great place to hang out on a nice sunny day. Also noteworthy are Don Det, one of the “4000 Islands” in southern Laos and Otres Beach, Sihanoukville, Cambodia. oh boy I am Canadian you are so wrong about Vancouver try Nelson,sat Spring Island any of the Gulf Islands , Vancouver Island, Fernie, I could go on and on but Vancouver no way there is a starbucks on every corner my friend !!!! I feel strongly that this list made a critical omission by not including Doe Bay Retreat on Orcas Island. Doe Bay Fest is an up and coming music festival that draws people from up and down the West Coast. It is super-groovy and a serious enhancement of that one love vibe. The ones above would be commercialized hippie destinations… we still have the real deal available in some parts of India.. You cannot reach there by any travel guide..
You have to just go and explore India..
there is manali…(y).you have to be there ,there is a new ,(may be old) culture breeding there.. So, first of all, a hippie community is an artist community that does not have a fast food restaurant within 5 miles. Secondly, Makanda IL is the sole survivor in the USA and it is closeby and fun. Try and find a list of hip communities, hard to find isn’t it, well, the man that travels to Nepal has a lot of $. Find the real world, near you. aaaah and Vama Veche in Roumania too, maybe the hippiest place I have never been. El Bolson is last season by the way… I guess a real hippies place stop being one once it is famous for that! Glastonbury (in England – the place not the festival) and San Fran ? ?